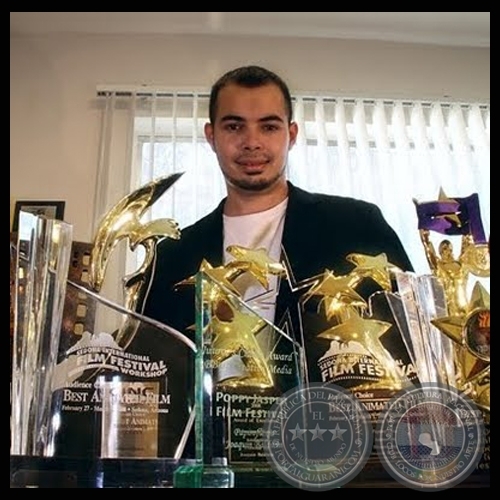 JOAQUÍN BALDWIN es un premio Annie Award nominado y animador de Paraguay, que actualmente vive en Los Ángeles. Ha recibido más de 100 premios por sus películas de animación SEBASTIAN'S VOODOO y PAPIROFLEXIA, ambos producidos en el Taller de Animación de la UCLA. Joaquín es un orgulloso receptor de una beca de postgrado completo de la FUNDACIÓN JACK KENT COOKE. -. 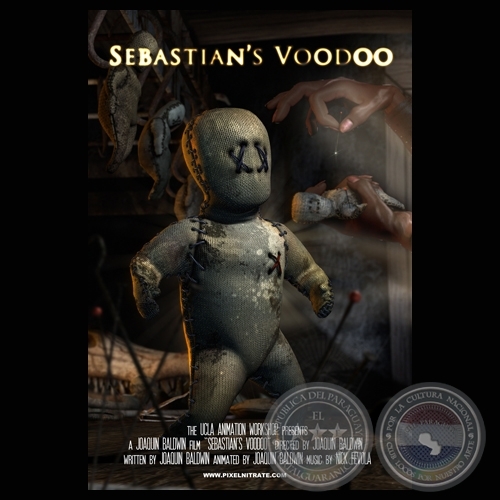 SEBASTIAN'S VOODOO : A voodoo doll must find the courage to save his friends from being pinned to death. -. THE WINDMILL FARMER : A nurturing farmer in is danger of losing his crop of windmills when he struggles against the cyclical forces of nature. Created at the UCLA Animation Workshop, with music by Nick Fevola. -. PAPIROFLEXIA : An origami tale of a skilful paper folder who could shape the world with his hands. Papiroflexia (Spanish for “Origami”) is the animated tale of Fred, a chubby man with a passion for paper folding, who wants to change the world with his art. It was originally written as a poem by Joaquin Baldwin, and later developed into an animated film at the UCLA Animation Workshop, with music by Nick Fevola. -. ALPHAMORPHOSIS : A butterfly's unexpected transformation. This film was created traditionally on inked and painted cels, with dissolves and pans in camera. Shot with a Mauer animation crane, on 16mm film. -. PLACENTA : Autobiographical film using photography, motion graphics and rotoscoping. The film shows different objects from my childhood that I've kept over the years, and the music comes from an old music box my mom used to play to us (it is her voice humming the melody).